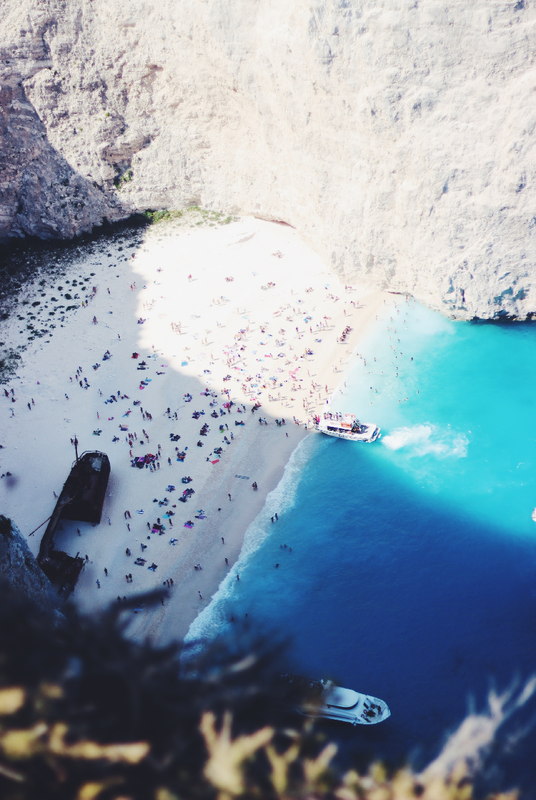 So here it is, the last Zakynthos post. I guess I have to believe now that the hollidays are finally over. Don't really know how to feel about that. Right now I'll probably be at Foam for the first day! 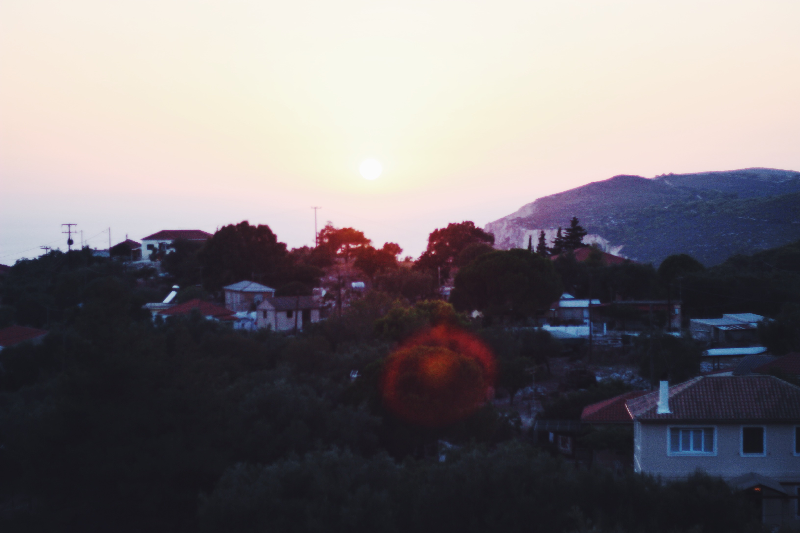 But with this post a dreamy throwback to our stay in Greece this summer. A bit different and longer than usual because this day there we saw so many pretty places! During our stay in Zakynthos (Greece) we rented a quad so that we could explore the whole island. I've never been on a quad before so only the riding itself was exiting. Our first stop: Navigo beach, or Shipwreck beach. It was about a 0,5/1 hour drive to that magical place. While we were getting closer the mountains got bigger, or maybe I need to say higher. Some roads were pretty scary, because they were really close to the abyss/cliffs. When we walked to the view point the cliffs were even higher, a bit frightening if you'd ask me. I was shaking while taking the photographs above haha. 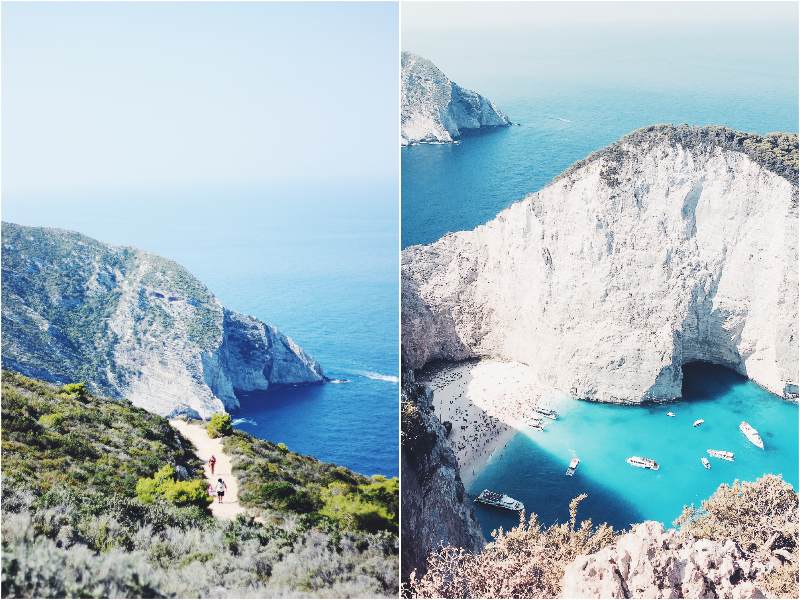 But the view over the sea and the Shipwreck beach, the cliffs and the extremely blue water was worth it. I'm so glad we visited Navigo beach from on the top! When we drove away to other unseen places we got a flat tire! But that did lead us to something good, we stopped at a point on the road with on each side 3 tourist shops. The people there helped us to get in contact with the owner of the quad and let us taste all their home made delights, which were really jummy! After a while someone came to fix our quad, but that didn't work.. But in return for the flat quad we got a car to tour further! Which really wasn't a bad thing. It was around lunch time and we stopped at a place/beach called Alykes, Katastari. As you can see on the photos above: a lunch with a view. 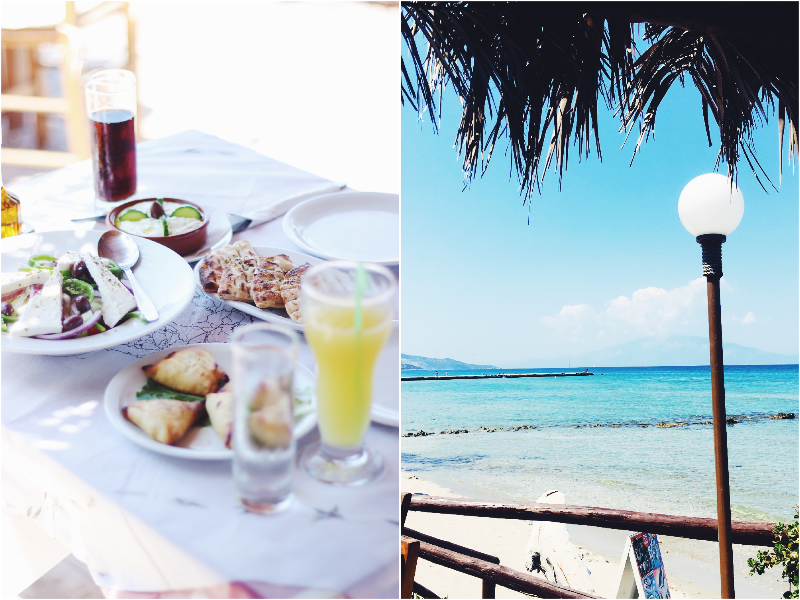 We sat right next to the beach and had the most amazing pita with tzatziki. 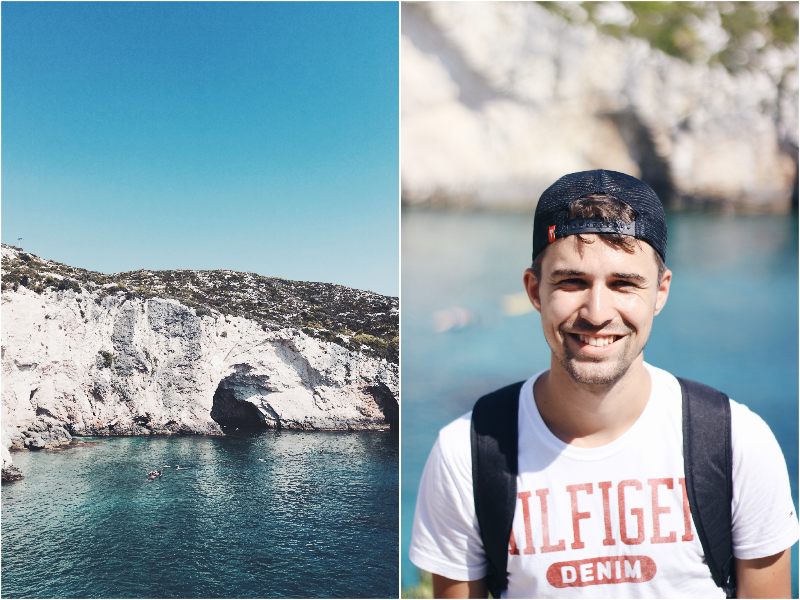 After another drive through all the amazing nature and the pretty but scarry cliffs we ended up at Porto Limionas, a little bay with another pretty view and a perfect place for a swim. There we some small caves we swam into, and jumped from the rocks into the sea. The water was so bright, and also really deep. If you're ever in Zakynthos really go to this amazing place, it's worth the drive. After Porto Limionas we drove back towards our appartment, but before going back we had a last stop in Keri for dinner. We sat down near the road and near a small town just above/next to the ciffs and the seaside. The place was called "Sunset taverna", and what a beautiful sunset it was. We had an amazing view and saw the sun sink in the sea while we ate more tzatziki, mousaka and some roasted pork from the grill. This restaurant was the perfect place to end the 'touring day'. It was amazing to see more of the island with a quad/car. What do you think of this post? 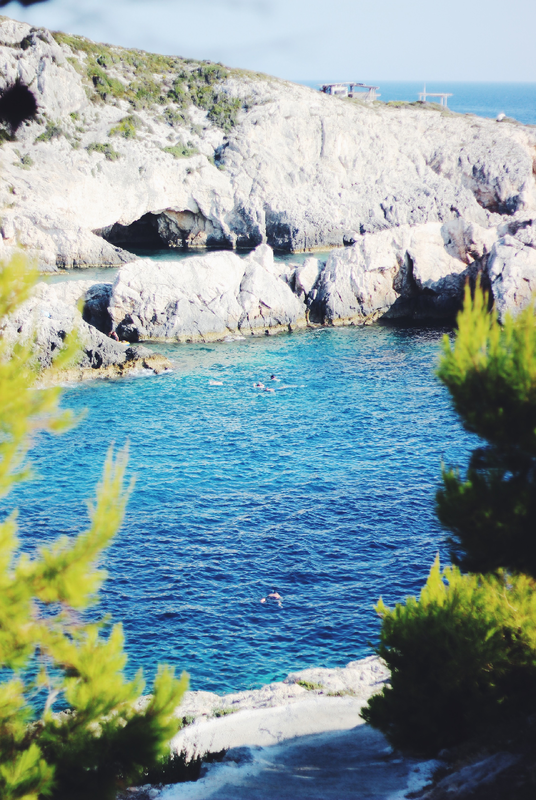 Have you ever toured through an (Greek) island before? And have you started school/work jet? Anyways, have a lovely new week! Wat een prachtige foto's zijn het!! Zaktynthos lijkt me echt de perfecte vakantiebestemming. Ik heb genoten van je diaries! gosh wat ziet en klinkt het prachtig, ik ben nog nooit in griekenland geweest maar het lijkt mij zo onwijs mooi ! Wauw wat een prachtige foto's! Zou daar echt heel graag heen willen! Wat mooi daar! Die zee is ook zo mooi blauw! Ziet er heel mooi uit! 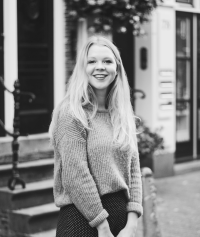 Klinkt als een leuk avontuur ondanks de lekke band! 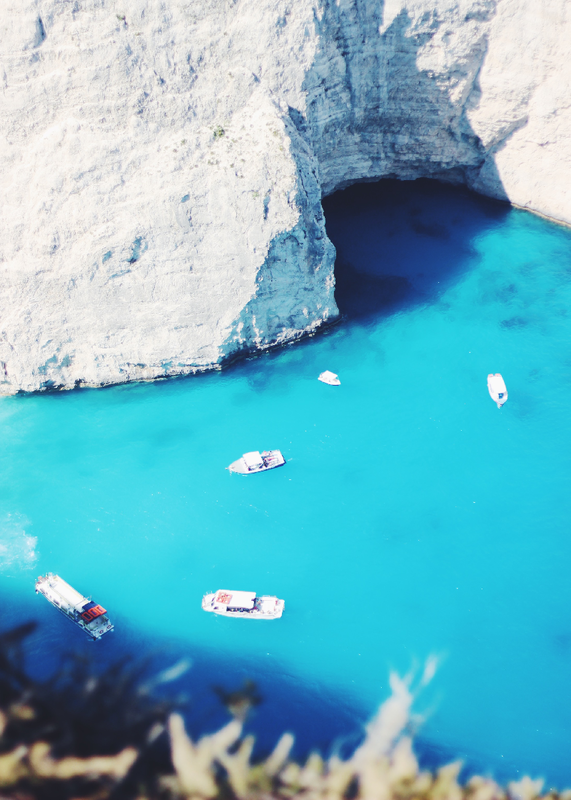 Wauw, dat water, zooo blauw! Echt een paradijsje!